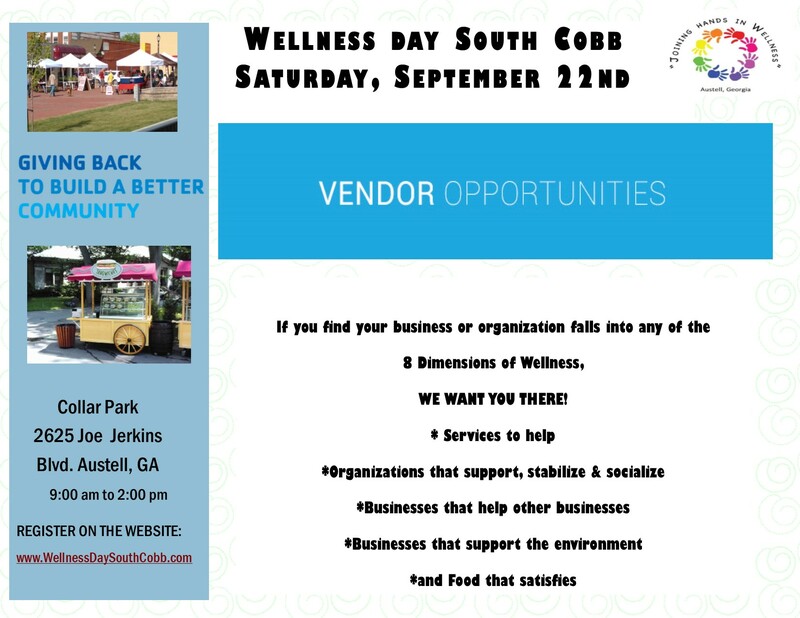 Vendor Booth location will be determined at the beginning of September based on the order of which vendors sign up and pay for their vendor space. The Event will be from 9AM-2PM. Vendor Booth set up will be from 6:30AM-8:30AM that morning. Vendors will not be able to set up prior to the day of the event. Tear down will be from 1PM-2PM the day of the event. If you leave the event early or do not show the day of the event, your company’s acceptance participate in future events could be compromised. Any food or drinks offered in a vendor booth must be approved by the Vendor Coordinator. Includes: Listing on the event website with your company link. Food Vendors will be accommodated in the Food Court area of Collar Park. Next Step: Once you complete this form, you will be directed to a secure page where you can choose your vendor package and make payment. Vendor Booth location will be determined and assigned at the beginning of September. The Event will be 9AM-2PM. Vendor Booth set up will be from 6:30AM-8:30AM that morning. No vendors will be able to set up prior to the day of the event. Tear down will be from 1PM-2PM the day of the event. If you have to leave the event early or do not show the day of the event, your company’s acceptance and participation for future events could be compromised. Any food or drinks offered in a vendor booth must be approved by the Vendor Coordinator. See Terms and Conditions for more details and information. I signify that I have read and understand the booth rental arrangement and plan to adhere to the instructions set forth in this document and the Vendor Form. I also acknowledge the Joining Hands In Wellness Day Participant Terms and Conditions of Attendance and Participation. Please Note that your participation will NOT be confirmed until FULL PAYMENT has been made. To become a Vendor, please complete the Vendor Application below.